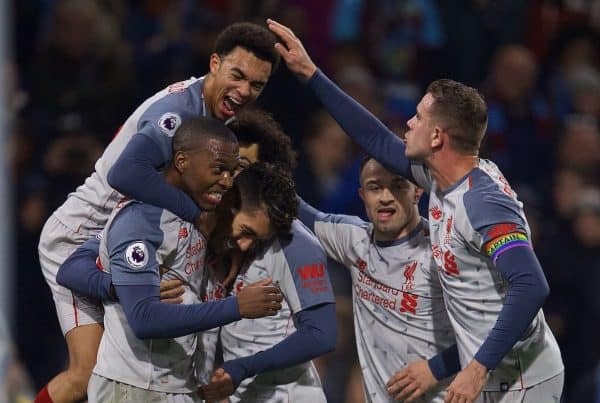 Liverpool proved their title credentials in their 3-1 victory over Burnley on Wednesday night, breaking an incredible record at the same time. The Reds made the trip to Turf Moor for another crucial Premier League clash—a ground they have historically struggled at. For a while, their title chances appeared to be set for a major blow, after Jack Cork prodded the hosts into a second-half lead. Jurgen Klopp‘s side were superb from that point on, however, with James Milner, Roberto Firmino and Xherdan Shaqiri all finding the net. 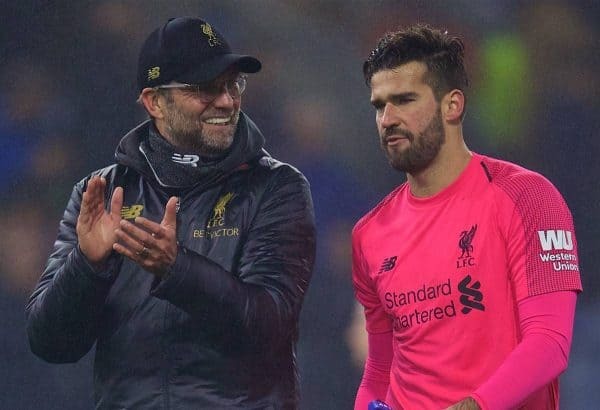 Liverpool showed a real winning mentality, and while the three points were clearly the most important thing, they also broke a club record in beating the Clarets. The win means the Reds have picked up the most points EVER in their entire 126-year history after 15 games, with 39 acquired. It means they beat the 38 points achieved in the 1904/05, 1978/79 and 1990/91 seasons. This is a truly brilliant effort by Liverpool and it further highlights just what an impressive start this has been to the season. Man City‘s incredible form is masking how dominant Klopp’s men have been themselves—it is truly unfortunate how consistent the reigning Premier League champions have been. The Reds can go top of the table with a win at Bournemouth on Saturday lunchtime, with City having to travel to Chelsea later in the day. The trip to Dean Court will be tough, but this Liverpool outfit are showing that they are made of extremely stern stuff. After that in the league comes a home clash with Man United on December 16, with Jose Mourinho’s side to play Fulham and Valencia beforehand.